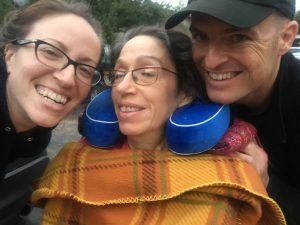 One of my most important jobs as Mom’s caregiver was not just making sure she ate, but making sure she had good, whole foods to eat that complied with her dysphagia diet. 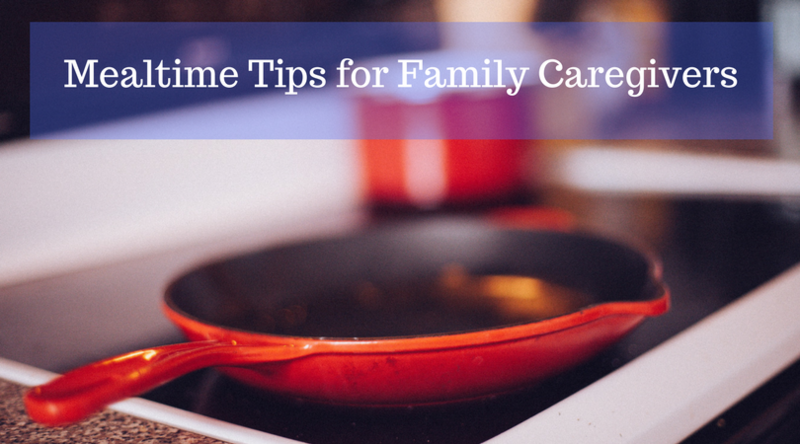 Many family caregivers can relate to the struggle of trying to find extra time to cook delicious and nutritious meals amidst all the other demanding caregiving tasks like changing diapers, administering medicines, dressing wounds, calling doctor’s offices, running to the pharmacy, and so on. It’s no wonder that pre-made meals and processed snacks make their way into the mealtime rotation. That said, however, I knew as a caregiver that prioritizing Mom’s diet and trying to limit processed chemicals and added sugars was a must if I wanted her brain to have a fighting chance. I ended up bringing the world of “pre-made” together with fresh, healthy ingredients to save time and improve Mom’s diet. We also rarely went ‘out’ to eat because a trip like that was very taxing for her and she couldn’t eat what most restaurants serve anyways. Some of those pre-made boxed soups are heaven-sent for caregivers. Because I had to beef these up for Mom to add volume so she could swallow them more safely, I inadvertently ended up developing some meal combinations that were fast, easy, and yummy. For example, I would buy a carton of Sweet Potato Bisque from Trader Joe’s and then beef it up with steamed sweet potatoes and sautéed carrots and onions. I didn’t have to take the time to make stock or anything, I simply whipped up my veggies and then blended with the soup, ta-da! The same worked with the boxed Carrot and Ginger soup, Tomato Basil, as well as Pumpkin soups that I tried from Trader Joes. You can also buy pre-made soups at grocery stores, or even Target carries Panera soups you can fortify at home. You can pretty much take any boxed soup and add calories and flavor to it by stirring or blending in extra veggies, squash, or mashed potatoes. You would be surprised the sheer amount of sugar that is in seemingly harmless pre-made desserts like chocolate pudding, flan, mousse, etc. If Mom was going to have a special treat for dessert that I hadn’t hand-made, I would at least try and add some extra fat (and therefore) calories to it without adding extra sugar. Whipping dairy cream as well as coconut cream helped to fluff up desserts and cut the sugar, as did incorporating a spoonful of peanut butter or cream cheese. Getting our hands on pre-made smoothies like the Vanilla Almond Spiced Chai at Trader Joe’s was easy, but when I wanted to get more fresh fruits and veggies in Mom’s diet I would opt for a fruit-flavored smoothie and then blend it with a handful of fresh spinach, a banana, and greek yogurt. We also tried adding pea protein powder to some of her smoothies but it was pre-flavored and added to much sweetness to an already sweet dish. We just ended up stirring protein powder with water or almond milk instead when she wanted it. One habit that really helped save time during the week for meal preparation was pre-cooking some easy, healthy add-ins on Sundays or Monday. We would then store them in the fridge and pull them out as needed during the week to toss in with food we were blending anyways. Next Next post: 1 . . . 2 . . . Omega-3’s!